Grasses, belonging to the botanical family Poaceae (or Gramineae), furnish the bulk of feed used for domestic animals worldwide. Grasses include sod crops and the cereals. One of the most ubiquitous of flowering plants, grasses are distributed all over the world. There are about 10,000 species of grasses grouped into 650 to 785 genera. Grasses, like legumes, are made up of proteins, lipids, sugars, minerals, and structural carbohydrates (hemicel-lulose, cellulose, and lignin). These structural carbohydrates, which give grasses their rigidity, cannot be digested by mammalian enzymes. Microflora in the foregut (ruminants) or hindgut (equids) of herbivores convert hemicellulose and cellulose (p-linked polysac-charides) into products that can be utilized by the herbivores, thus giving them a particular ecological advantage. Many factors influence grass feeding value, including species and variety, maturity, fertility, environment, and postharvest management. Grass serves as the major nutrient source for domestic herbivores, and is increasingly important to the animal producer for soil erosion control, improvement of soil structure, waste management, and water protection. Grass stems have two distinctive forms. 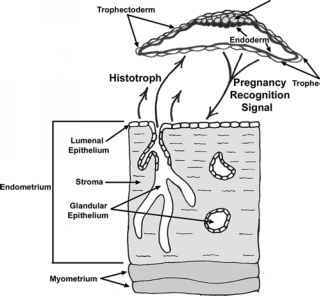 The terminal meristem in seedlings and vegetative growth tends to be close to ground and enclosed in a whorl of folded leaf sheaths. This is an adaptive mechanism that makes it more difficult for the meristem, sitting atop nodes and unelon-gated internodes, to be grazed or cut. Once flowering begins, the terminal meristem differentiates into the inflorescence, and the internodes elongate. It is advantageous to the plant for this process to occur quickly, resulting in a relatively short harvest window to achieve high-quality forage. Elongated stems of flowering grass plants are clearly differentiated into nodes (joints) and internodes. Joints are always solid; internodes are usually hollow, but may be pithy or solid. Established grasses have a fibrous or adventitious root system, which varies among species in depth and distribution. Adventitious roots are heavily branched, particularly in the upper soil horizon, making grasses particularly well-suited for soil conservation purposes and for efficient uptake of surface-applied fertilizer. The adventitious root system can make grasses more susceptible to drought than legumes. Warm-season grasses, however, typically have fewer roots, which are larger in diameter and grow to a deeper depth than those of cool-season grasses, thus increasing their drought tolerance.